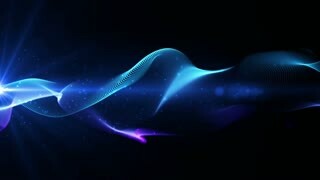 Ubagabi—the ghost of an old woman that appears as fireball. 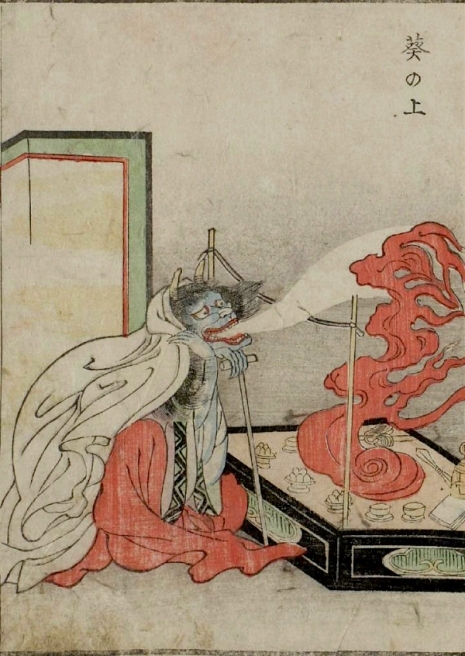 There’s an ancient Japanese legend of the one hundred yōkai—monsters, ghosts, apparitions and demons—who parade through the streets on hot summer nights. If anyone is unfortunate to see these creatures—or to be caught up in it—then they will perish away or worse be taken captive for the twisted pleasure. 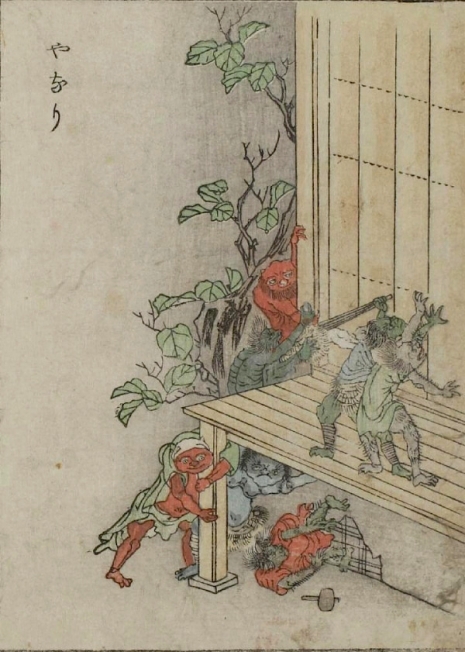 If you’ve ever watched the enjoyable trilogy of movies Yokai Monsters—One Hundred Monsters (1968), Spook Warfare (1968), and Along With Ghosts (1969)—then you’ll have a good idea what these demons look like—ogres, goblins, ghosts, sprites, spooky umbrellas and dangerous women with ever-extending serpentine necks. 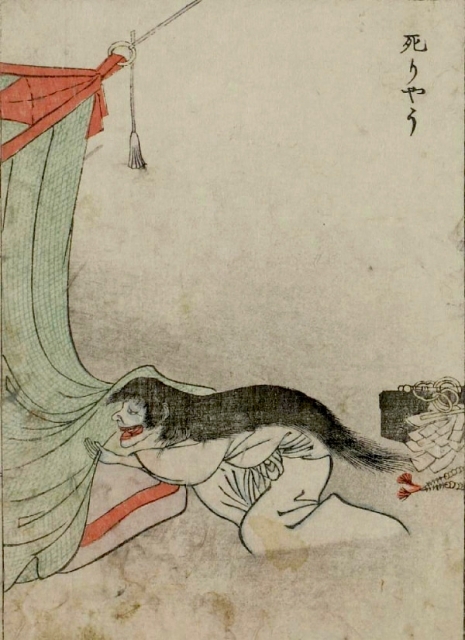 All of these incredible monsters have long been a part of Japanese folklore. 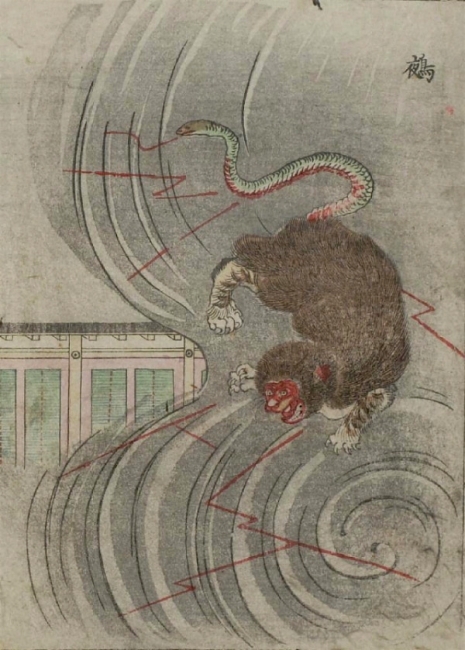 They were first codified in the supernatural bestiary—Gazu Hyakki Yagyō (The Illustrated Night Parade of a Hundred Demons) by artist and scholar Toriyama Sekien in 1776. It’s a kind of fabulously illustrated Fantastic Beasts and Where to Find Them but far, far more beautiful and eerie. 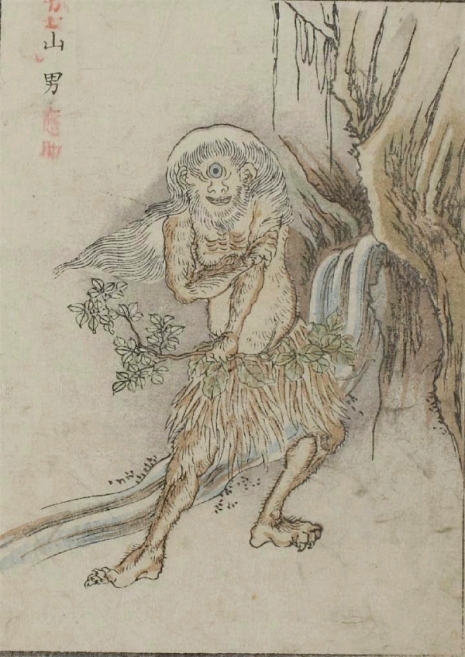 In 1881, artist Nabeta Gyokuei updated this incredible volume when he produced a picture book or e-hon of Sekien’s 100 demons. 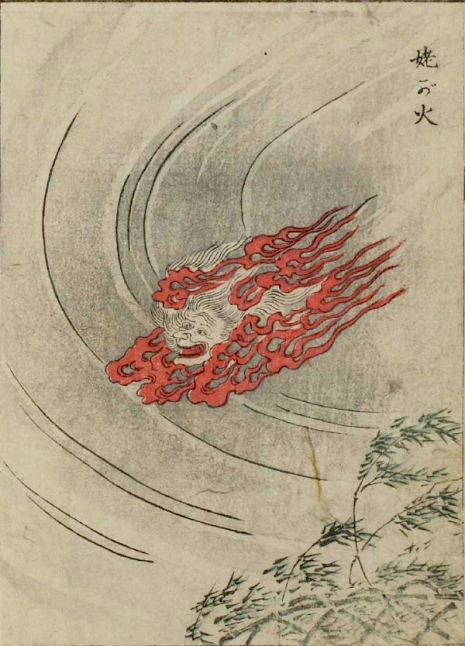 The Kaibutsu Ehon or Illustrated Book of Monsters features beautiful woodblock prints of each of the yōkai and its special powers. 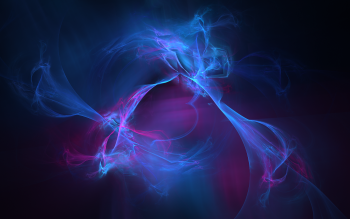 The whole book can be viewed here. 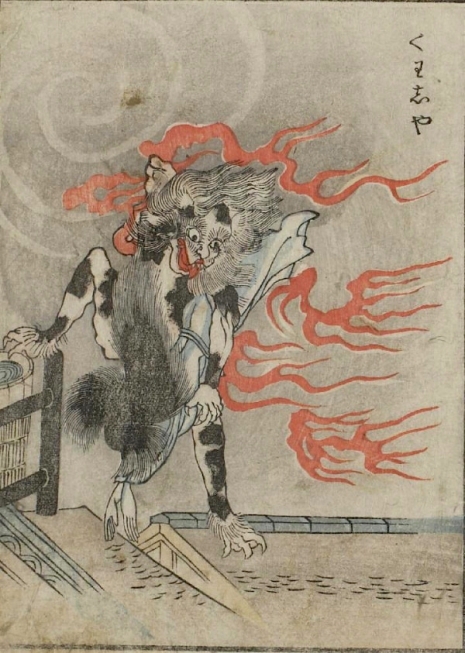 Kasha—a fiery yōkai—or phantom-in this case a cat that steals or devours corpses. 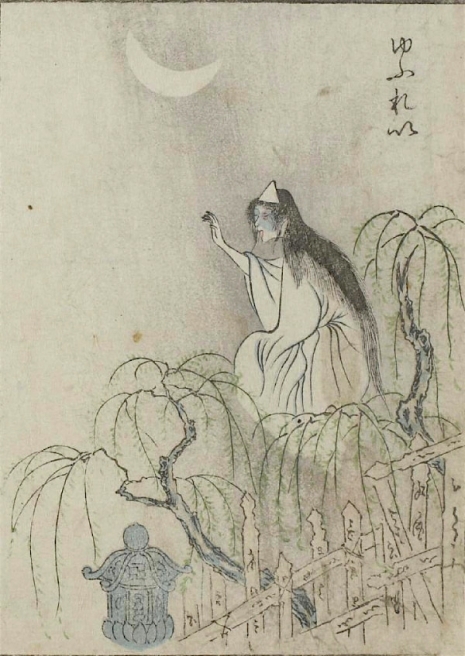 Aoi no Ue—fictional female character from ‘The Tale of Genji’ who is possessed by demons. 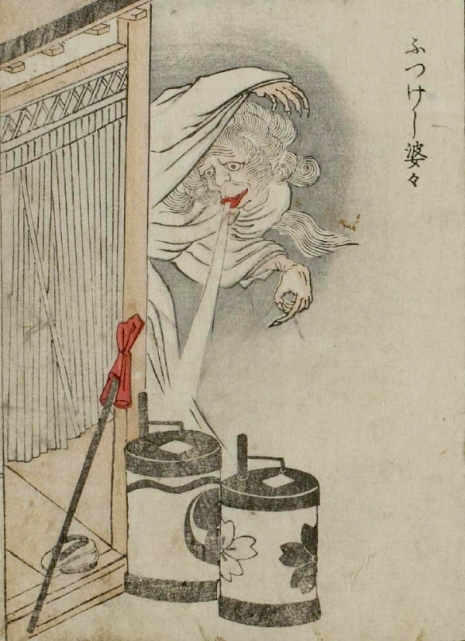 Waraime or Kerakera—a giant cackling woman who brings misfortune. 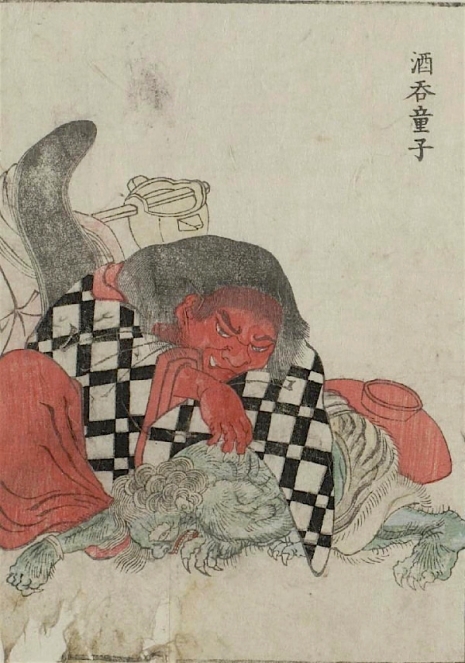 Shuten Dōji—a brutal and fearsome oni—or demon—known for kidnapping, enslaving and devouring young Kyoto maidens. 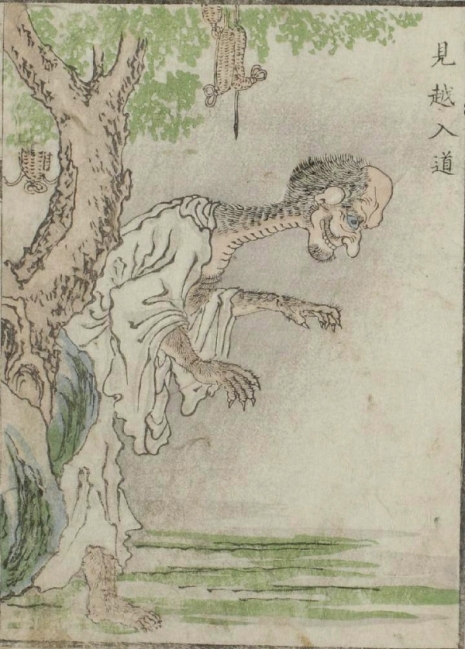 One of the three great evil yokai. 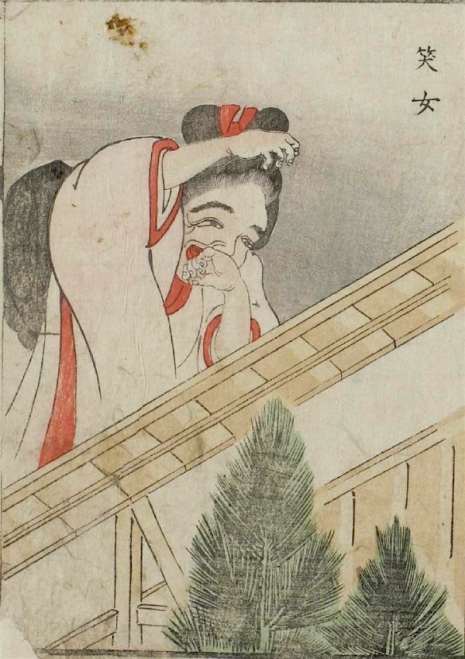 Futsukeshibaba—a ghostly woman who blows out lantern lights causing terror. 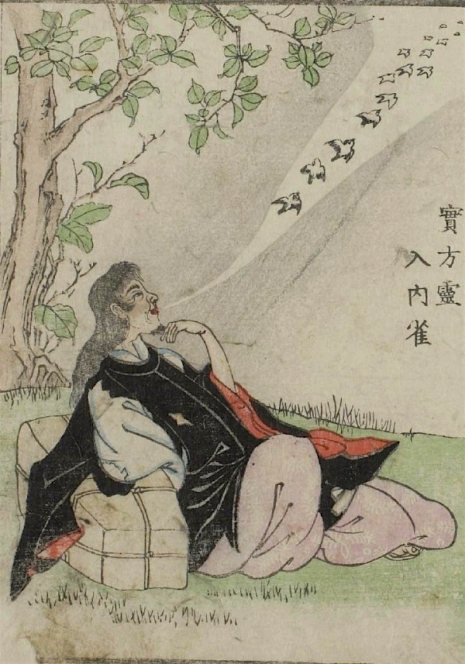 Nyūnaisuzume—a shape-shifting evil spirit here depicted as sparrows flying from a poet’s mouth. 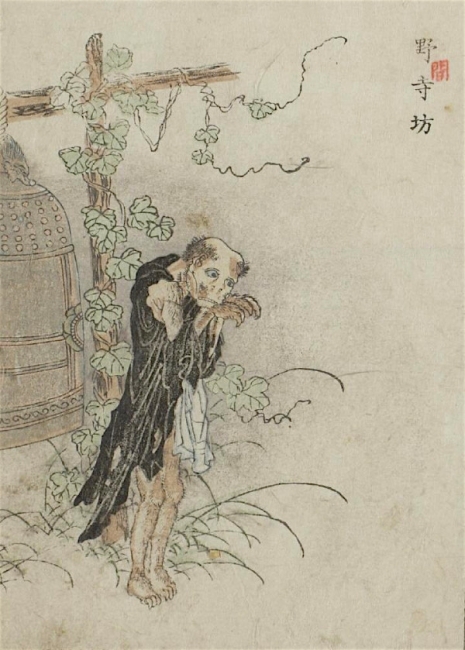 Mikoshi nyūdō—bald-headed evil goblin with an ever-extending neck. 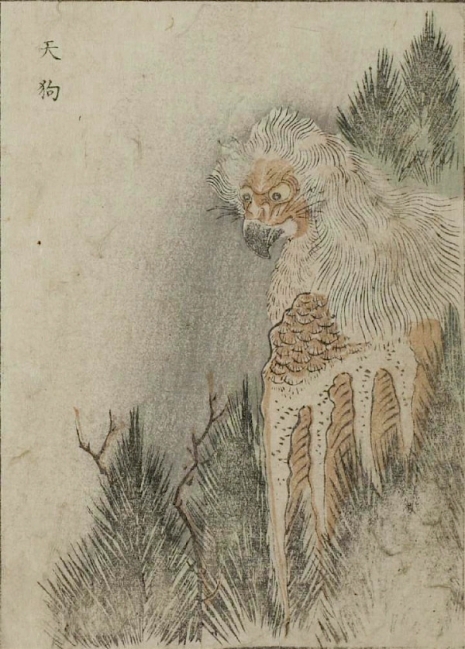 Yamao—a strange one-eyed mountain creature. 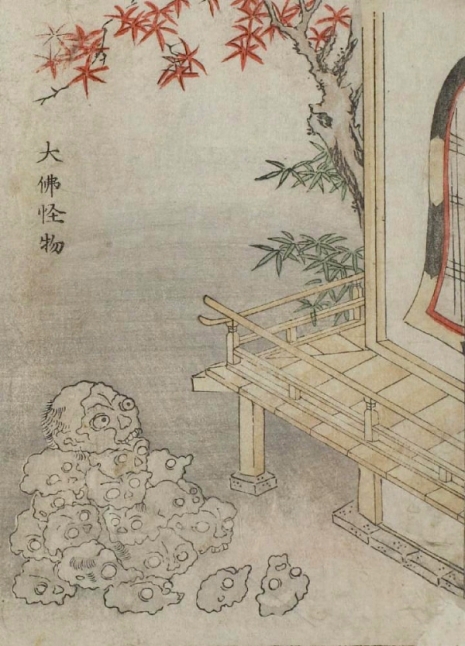 Daibutsu-kaibutsu—a group or pile of living skulls. 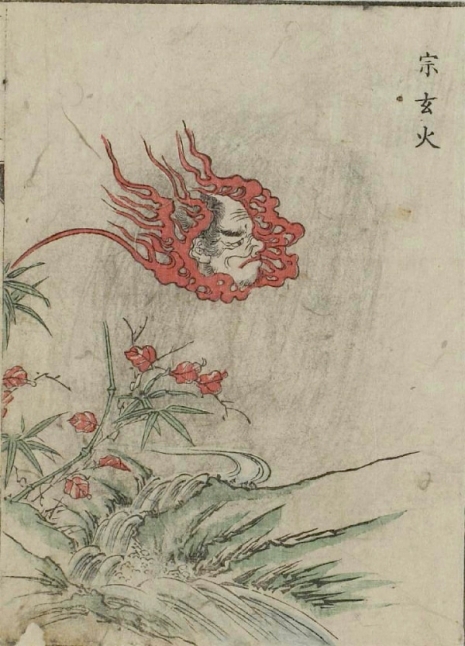 Sōgenbi—the ghost of a priest whose head appears in a cloud of burning flames. 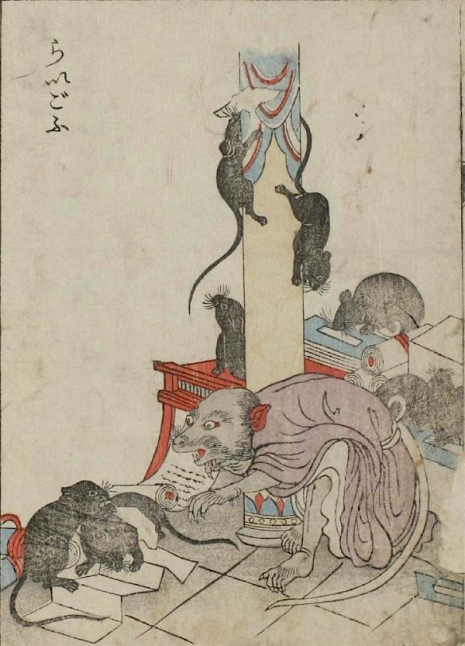 Raigō—a monk reborn as a rat. 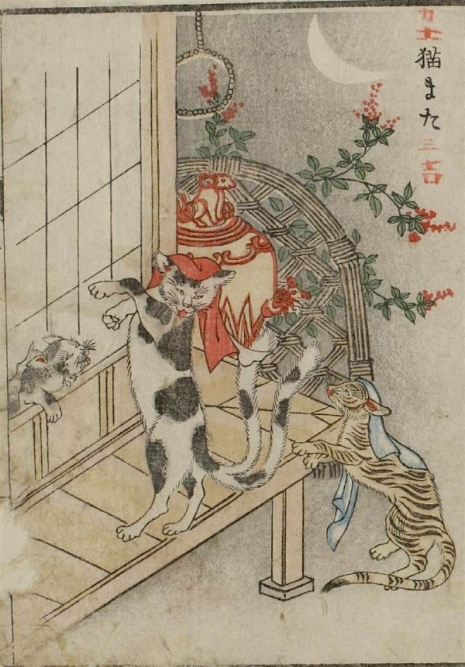 Nekomata—a cat yōkai that comes in two types. One lives wild in the mountains, the other is domesticated. 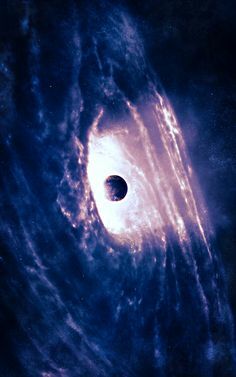 Shiriyau—a spirit of the dead. 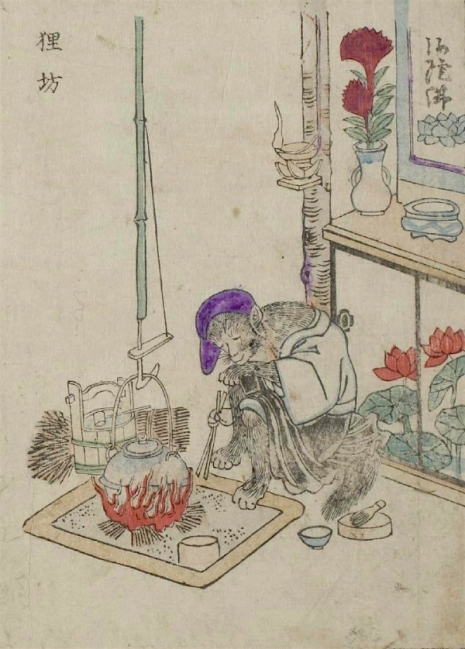 Tanuki-bō—another monk this time one who has returned as a monkey. 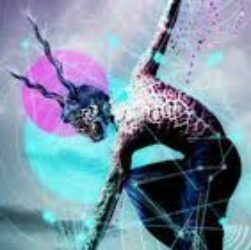 Yanari—small demons that cause floorboards and wooden walls to creak and crack. 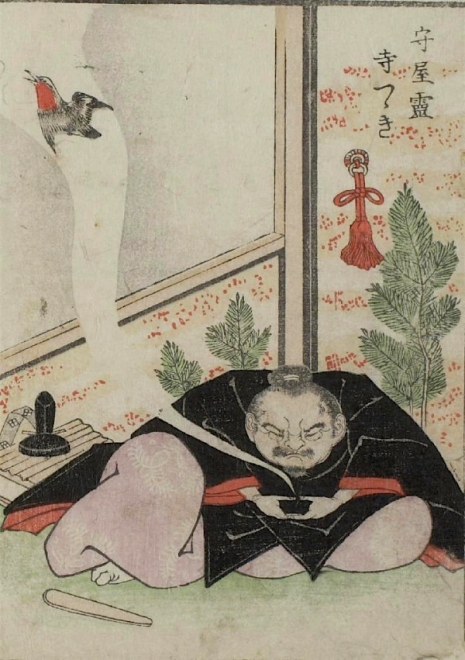 Tengu—a bird like demon that is sometimes considered a harbinger of war. 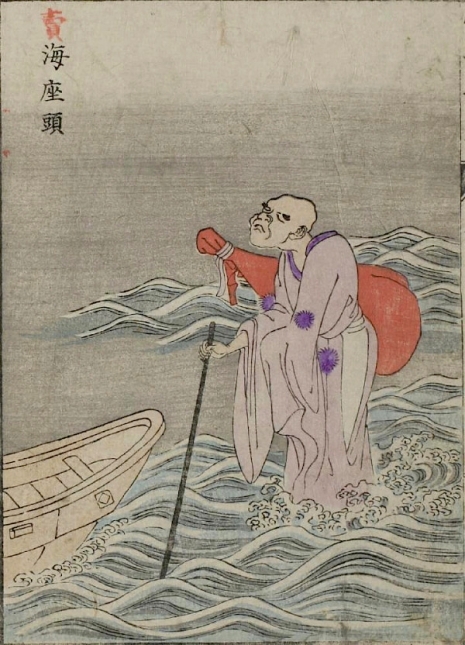 Umizatō—a blind man who can walk on water. 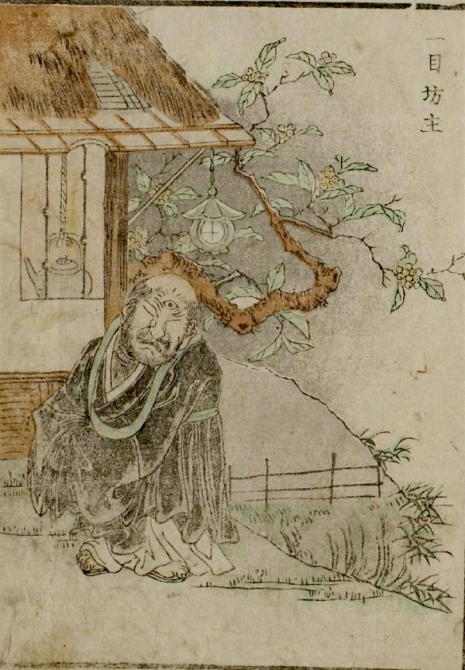 Teratsutsuki—lingering resentment is turned into a woodpecker.